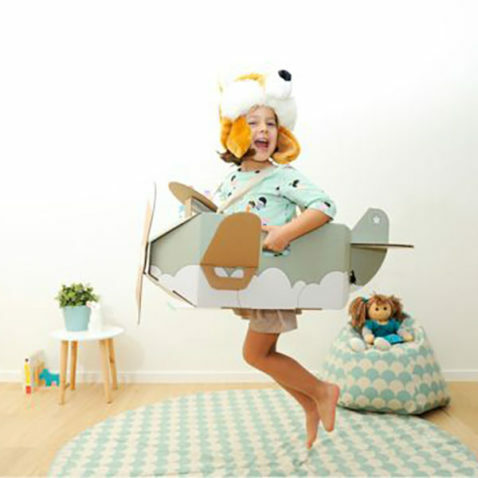 Mister Tody is a Belgian start-up who develops, designs and produces stylish cardboard toys for kids with a rich imagination. The toys they produce are not only fun and charming, they are also eco-friendly. Mister Tody felt ready to take their business to a next level with a new webshop, so they contacted Baldwin. Their new webshop had to be stylish and young to fit the brand and it also had to offer a great user experience to the clients. 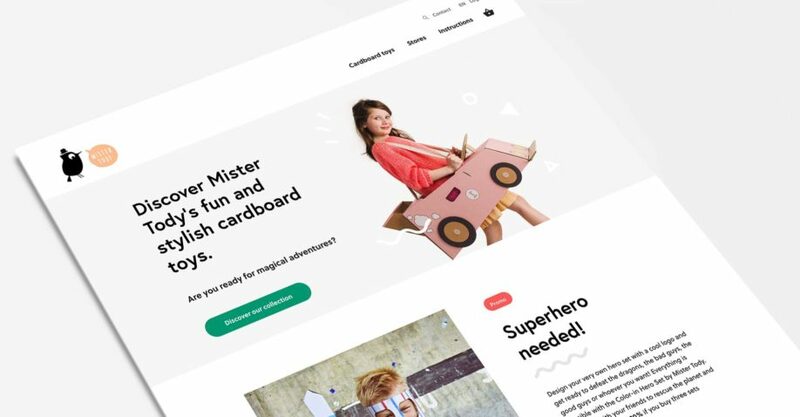 Today, Mister Tody is selling its toys through a young & vibrant webshop, developed by our Magento development team. During a first meeting, the owner of Mister Tody told us about the dreams and expectations she had for her new webshop. Since her products are stylish and unique, the design of the webshop also had to be young, fun and classy. The design also needed to be clean in order to fully highlight the cardboard toys. The webshop had to be multilingual as Mister Tody was planning on selling the sustainable toys internationally. And last but not least, Mister Tody wanted her webshop to be fast, secure, responsive, intuitive and easy to use by both buyers and admins. The design team started by designing the wireframes – the visual representation of the user interface. 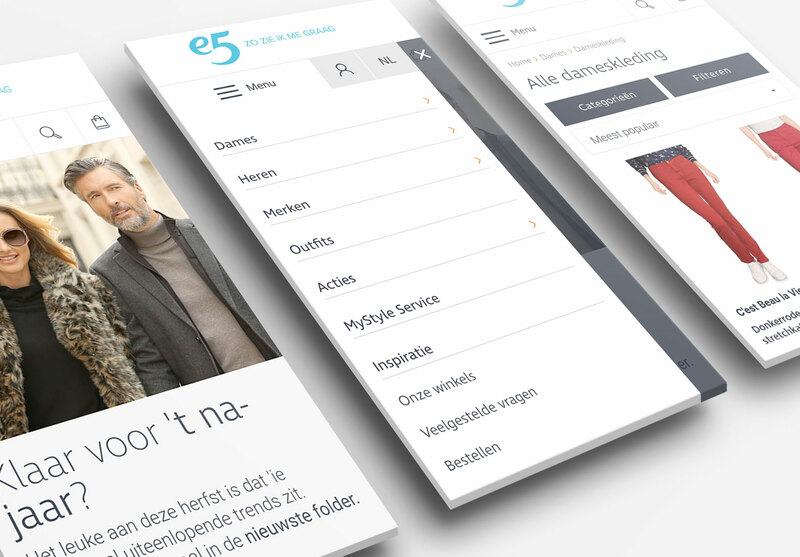 After they were approved by the client, it was time to work on the webshop’s design. The designers decided to focus on the aspects that matter the most in the e-commerce universe: products & photography. The homepage displays images of the toys, highlighting the magical and imaginative aspect of the toys. On the productpage, the toys can be easily filtered by collection, colour, type and price. The product photography is clean, simple, and perfectly supporting the Instagramable cardboard toys. Before launching the webshop, we implemented and configured the marketing tools on the development website, and after we made sure everything was properly tracking, we implemented them on production. We configured Google Analytics, Google Tag Manager, Google Search Console & Bing Webmaster Tools. For Mister Tody, we track events such as add-to-cart & add-to-wishlist, contact forms sent, newsletter subscriptions, payment page visits, orders placed, site searches etc. With this data, the marketing team can get to work and reach potential fans of Mister Tody.